The Cars: Out Of Nowhere, An Incandescent Pop Gem "Blue Tip" finds The Cars still in control of a new-wave idiom that its members helped invent. "Blue Tip" finds The Cars still in control of a new-wave idiom that its members helped invent. The Cars' music is classic rock's great paradox. Starting in the '70s and plainly rooted in the summer-romance sentiments of '50s rock icons like Roy Orbison, the band nevertheless found ways to embroider on those influences in the innovative and exciting ways that came to define the best of new wave. The band's best-known songs reflect singer Ric Ocasek's preoccupation with automobiles, adolescent love gone wrong and the attendant creation myths of early rock 'n' roll. But somehow, The Cars' songs were never, ever "retro." Instead, their insistent, forward-looking engagement with synthesizers and new recording technology provided a winning middle ground between old influences and new innovations. Over the course of its initial 10-year run, the band cranked out a ton of classic singles and estimable full-length records whose reputation has only grown over time. Following a lengthy hiatus, and motivated by a handful of sprightly new songs, Ocasek put the band back together, resulting in the fine new album Move Like This. "Blue Tip" finds the band still fully in control of a new-wave idiom that its members went a long way toward inventing. During the verse, electronic blips and keyboard passages ornament Ocasek's conversational, half-spoken words, rendered as always in his unmistakable deep tenor. And then, seemingly from nowhere, the building tension is released in an absolutely relentless sing-along chorus. 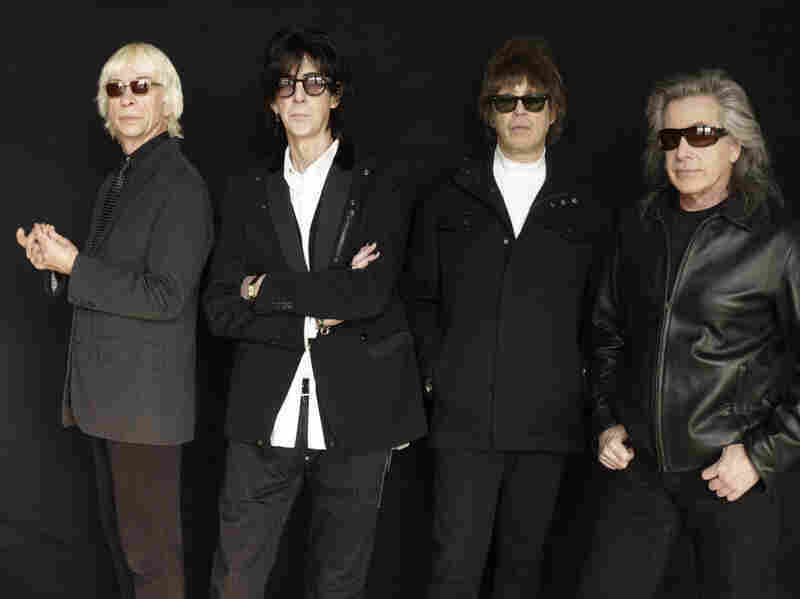 It's a brilliant left-turn, a vintage move by The Cars that allows the band to seamlessly re-enter the conversation with an incandescent pop gem.